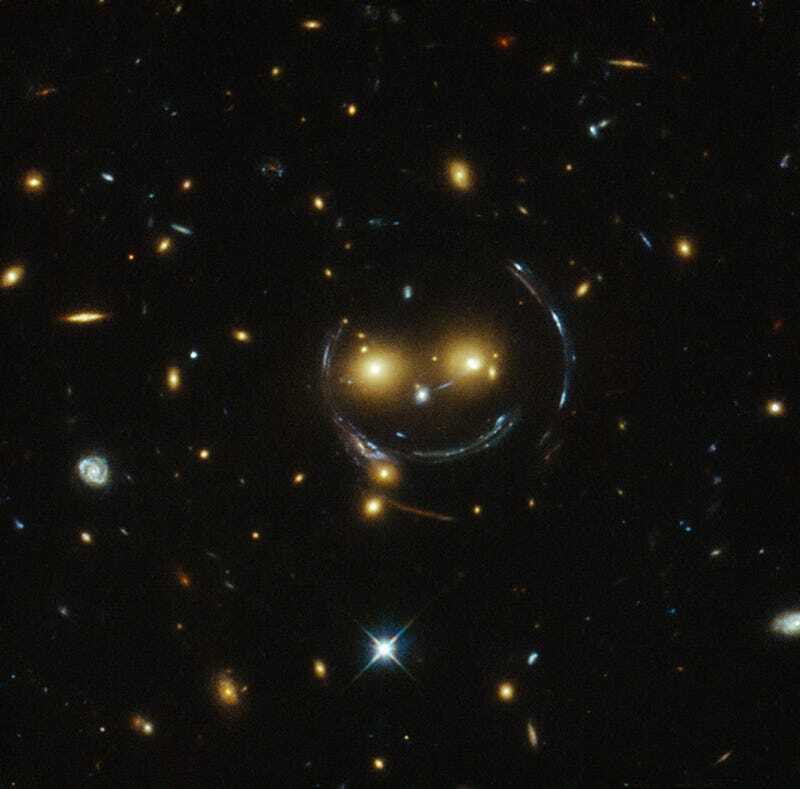 The smiley face illusion is caused by strong gravitational lensing. The hugely massive galaxies making up the "eye's" are bending the light from galaxies behind distorting it into the smile and sides of the face. Galaxy clusters are the most massive structures in the Universe and exert such a powerful gravitational pull that they warp the spacetime around them and act as cosmic lenses which can magnify, distort and bend the light behind them. This phenomenon, crucial to many of Hubble's discoveries, can be explained by Einstein's theory of general relativity.